The Smiths’ song “Ask Me” plays as Joe Eldredge, a sophomore studying humanities, scans a blackout poem on the wooden desk at the front of the room. The desks are filled with students writing in notebooks and conversing with friends. 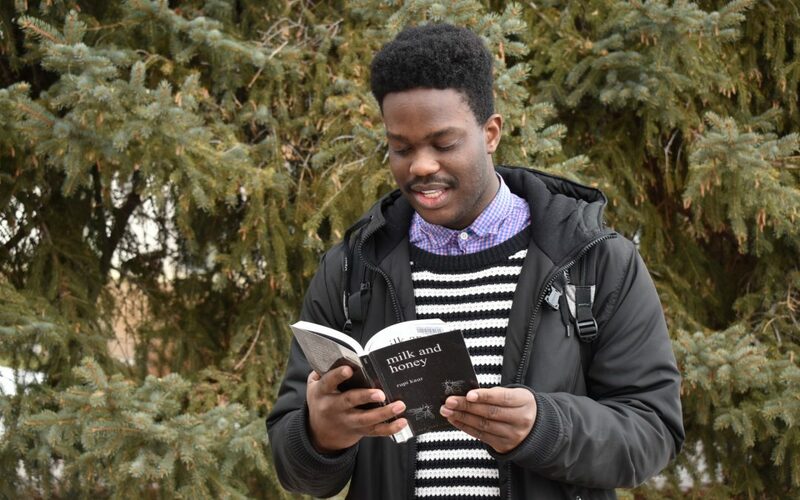 Thayne Keele, a sophomore studying elementary education, brings a copy of E. E. Cummings’ poetry out of his backpack and passes it around to the group. The meeting begins with a prayer, and Taylor Rethke, a freshman studying public health, shares a poem titled “I Am From.” Students applaud as she finished reciting her poem. 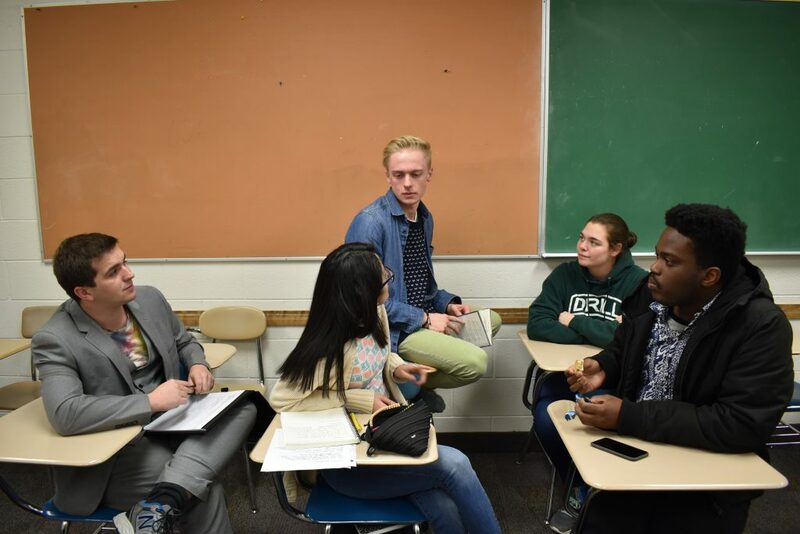 The Slam Poetry Workshop meets every Tuesday night in the Joseph F. Smith Building in room 323 from 6 to 7:30 p.m. to work on poems and encourage creativity in each other. Thayne Keele, Candice Silvan-Durran, Joe Eldredge, Taylor Rethke and Ejoke Ekpagha converse before the Slam Poetry Workshop begins. 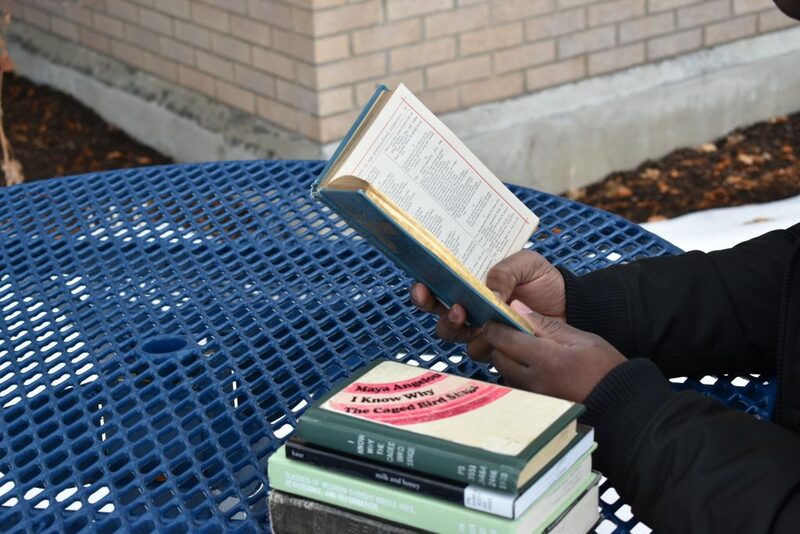 A student reads from some of his favorite poets’ collections. Dunique Charles, former manager of the Slam Poetry Workshop, passed her title and responsibilities after graduating in December 2018 to Eldredge. 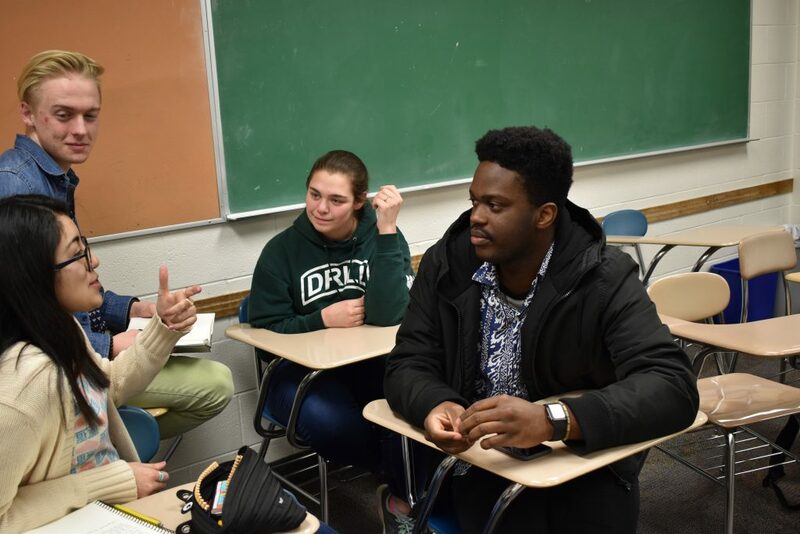 Eldredge manages the Slam Poetry Workshop and organizes the Poetry Showcase that takes place at the end of the semester on March 26 in the Manwaring Center Little Theater at 6 p.m. The best way to invite the workshop to open up is to do it himself. A PowerPoint with a black background comes up, and Eldredge goes through slides of blackout poems, where poets take an old book page and mark out all words except for the ones they choose to make a phrase or sentence. The students sit in a circle of desks listening and laughing together. 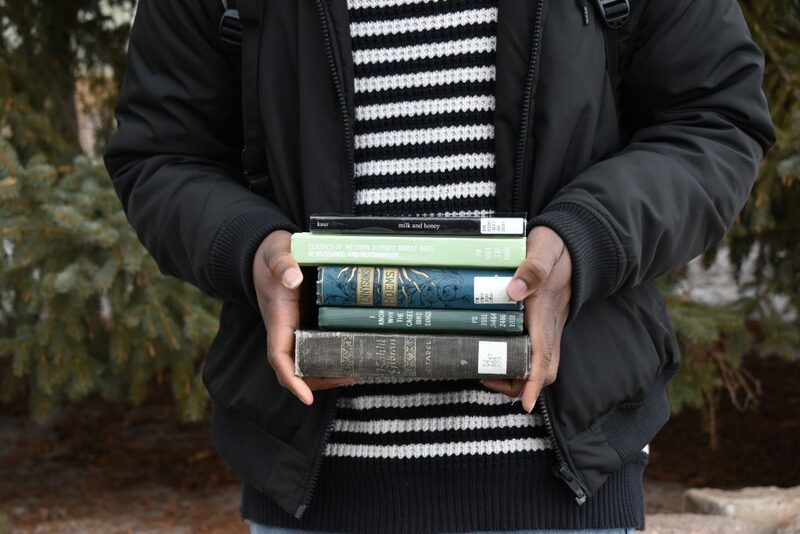 Ejoke Ekpagha, a senior studying Biology, holds a stack of poetry books by some of his favorite poets. did they choose to let go?